History suggests that international teams who win their respective competitions in a World Cup year don't necessarily go on and be successful in their pursuit of the Webb Ellis Cup. You have to go back to England in 2003 to find the last team to win either the Six Nations or the Rugby Championship and then go on to lift the World Cup. Four years ago, Australia won the Rugby Championship, which heightened expectations as they arrived in the northern hemisphere for the big one. Their march to the title was eventually halted by New Zealand who, while exacting revenge for their second-place finish in the battle to be the south's kingpins, managed to repeat the trick of having also won the World Cup four years earlier after they had again finished runners-up in the Tri Nations. It's hardly an exact science, yet it is difficult to ignore the fact that only one of the last five winners have won both tournaments in the same year. If Ireland do relinquish their Six Nations crown in the coming weeks, Joe Schmidt is unlikely to take much comfort from that because the sub-standard performances are of greater concern. There is however, still plenty of time to turn it around and if they manage to beat France and Wales, the widespread over-reaction will be tempered. Scott Fardy knows exactly what it is like to arrive at a World Cup with the hype in overdrive as he was part of that Australia team who couldn't back up their Rugby Championship win in the World Cup final in 2015. "It is hard to do," Fardy, who won the last of his 39 caps in 2016, insists. "There are so many things that happen in the World Cup, so many things that go in that seven-week tournament. Things can go completely wrong for teams. You saw that with Ireland with the injuries (in 2015). "Things went really right for us at certain times of the tournament. Scotland, we got the right or wrong decision there. "We had a tough pool. We had England and Wales. We had to fight our way out of that, fight our way through two tough teams to get to the final. I wouldn't be overly worried about things happening before it. You've got seven games to win the thing." 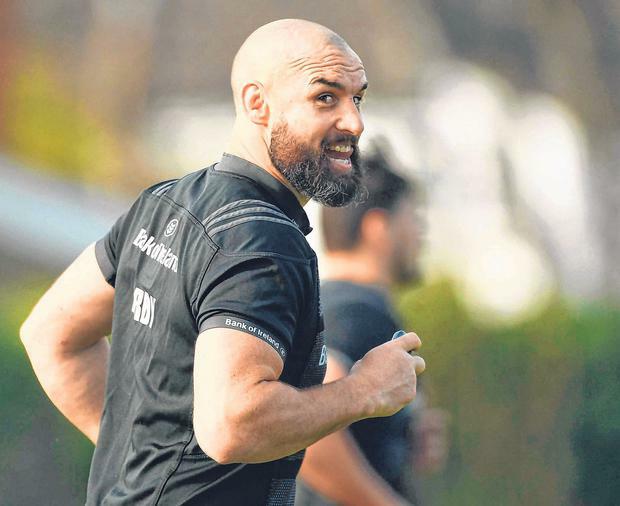 Fardy's chances of featuring at a second World Cup have all but been ended as he signed a one-year contract extension that will keep him at Leinster next season. That said, he is unlikely to reject Michael Cheika's call if indeed it does come but, as of now, there has been no official contact. The Wallabies know all about the perils of hitting a slump and given that he has seen several of those, Fardy is in a good place to assess Ireland's current predicament. "They are playing good opposition," the 34-year-old says. "They played England and I thought they were the form side in the Six Nations so far. Wales had to work hard for that victory over in Cardiff. "They went away to Scotland which is no mean feat and they did what they needed to do in Italy. "In a few weeks, they could still be Six Nations champions essentially - results pending. They have a bit to do. "It happens, you go through things and obviously form. They have had a high turnover of players over the first three weeks. "They probably haven't clicked as much as they could have but these things happen in rugby. You can't be up there all of the time. "Sometimes you have small dips but I don't (see a crisis). As I said, they are playing against good sides. Wales are a good side, England are a good side. I thought the Italians played very well on the weekend and obviously Scotland are a good side as well. "Confidence is big. I think it's one of the biggest things in the game. They have got every reason to be confident in what they are doing. "Three or four games earlier, they beat New Zealand. There were some uncharacteristic mistakes against England, which they reviewed hard and will be better for that. "They are definitely focusing on their own performance. I don't think they have come out and said they have played their best yet, have they? "They are aware of what they need to do. I'm not Irish, I have never been in Irish camp. But I know there are some creative guys in the room there and really good players. They know what to do."